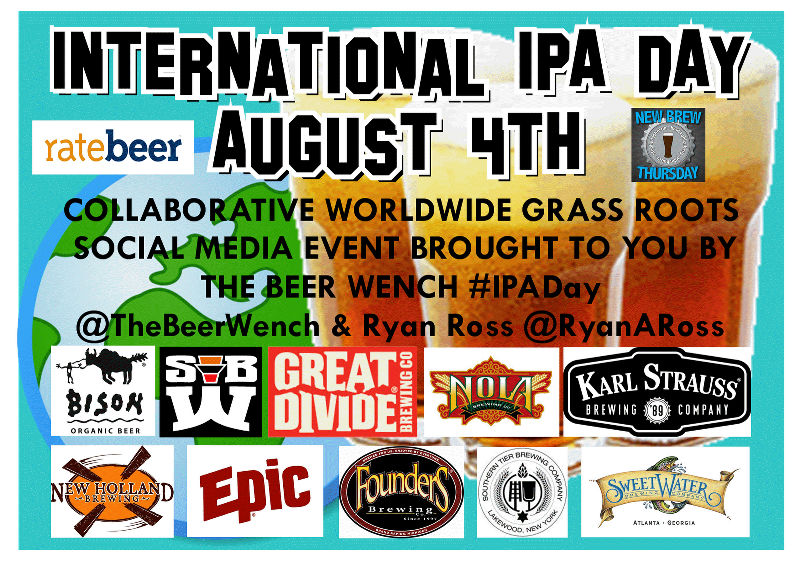 The Beer Wench and Ryan Ross have come together to organise the first ever #IPADay. A web based event designed to give beer lovers around the world an opportunity (an excuse?) to celebrate great beer with like-minded people. The wine world is ahead when it comes to this sort of event, organising things like Chardonnay Day and Cabernet Day like it went out of fashion. Well the 4th of August is about IPA, let's raise a toast to a great beer style and to great beer; organise an IPA tasting at your house, write a blog, record a video or send a tweet. Do what you want, but make sure you involve an IPA and make sure you tell everyone about it! 10 different breweries from around the world are involved and in England we're represented by Summer Wine. They've teamed up with some of the UK's top beer outlets - The Port Street Beer House in Manchester, The Free Trade Inn in Newcastle and The Rake and The Southampton Arms in London - to run #IPADay events, mini festivals, live blogging sessions and tastings. The official event website is here: www.ipaday.eventbrite.com. 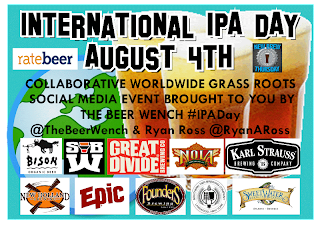 Tweeting will be done under the #IPADay hash tag and a thread will be running in the Ratebeer forums.